In November 2018, the USCCB released a pastoral letter against racism — their first in almost 40 years. In honor of Black History Month, we're sharing our top 5 takeaways from the letter, because "racism is a life issue" and it "has no place in the Christian heart." Will you join us in building a culture of life? 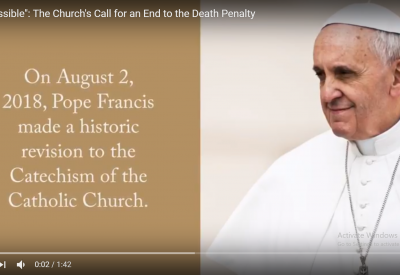 On August 2, 2018, Pope Francis made a historic revision to the Catechism of the Catholic Church which declared the death penalty "inadmissible" in all cases. In response to that call, people of faith are adding their names to the National Catholic Pledge to End the Death Penalty, and working to build a culture of life. Tuesday, July 31, 2018 David Lichter and Dale Recinella hosted a conversation about the landscape of formation opportunities for correctional ministries. 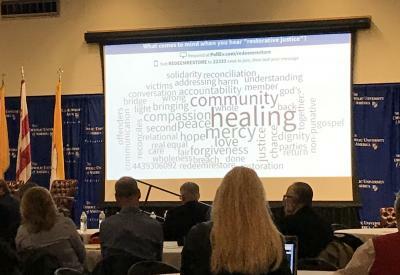 Check out the webinar recording to learn more about what you can do to strengthen the Catholic presence when it comes to ministering to our brothers and sisters in prison. Read more about Ministry of Accompaniment: What is Needed? Wednesday, June 17, 2018 Fr. George Williams, SJ (Catholic chaplain of San Quentin State Prison in CA) and Fr. Dustin Feddon (St. Theresa's Parish in Chipley, FL) hosted a conversation about the present state of Catholic correctional ministries in the United States. 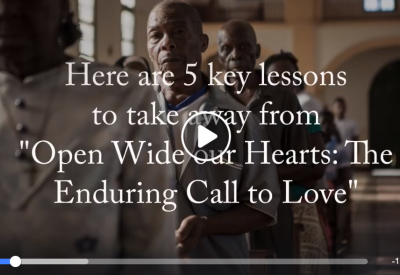 Check out the webinar recording to learn more about what you can do to strengthen the Catholic presence when it comes to ministering to our brothers and sisters in prison. Part 1: Criminal Justice System Bishop Frank J. Dewane opens the day in prayer. Then Trudy Conway, one of Redemption and Restoration's editors, shares stories from the development of the text and invite us into a journey through each of the three major sections of the book. CMN Executive Director, Karen Clifton moderates a discussion on the criminal justice system, talking with Tim Wolfe and Janine Geske.